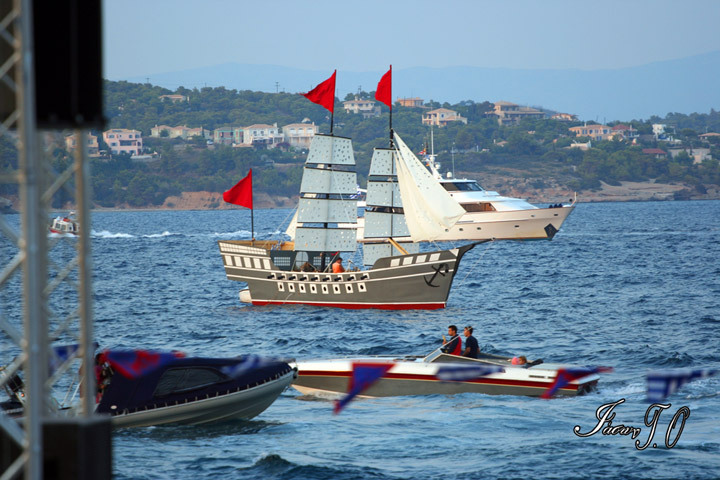 In September 8, 1822 became the Battle of Spetses. 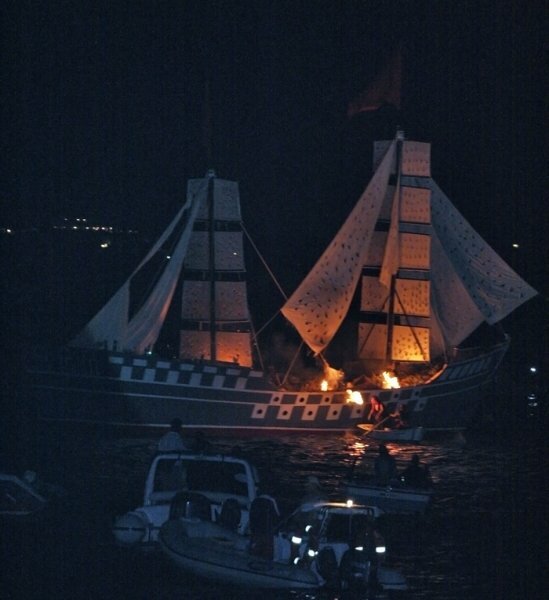 Amid this turmoil, Barbatsis Cosmas (1792-1887) rushes with its fire ships in the center of the Turkish formation, managing to reach the enemy flagship, in which set fire. 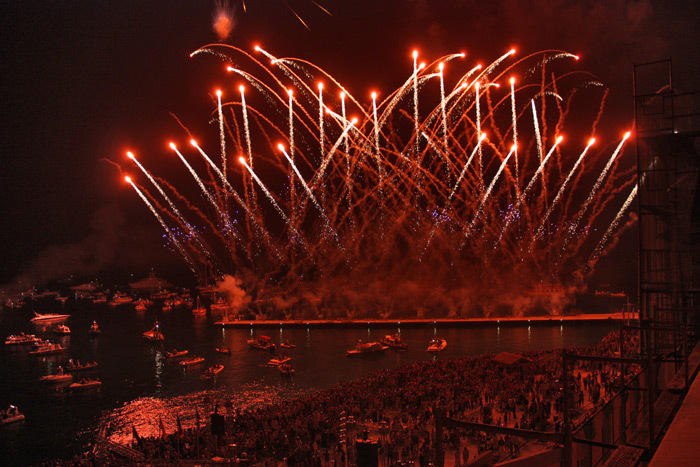 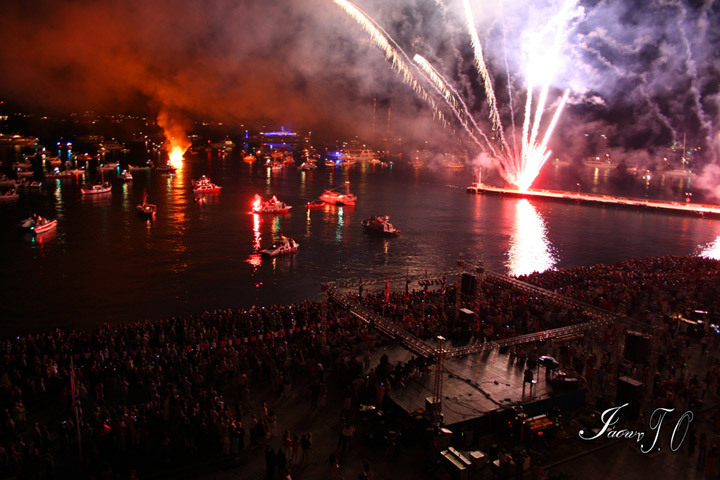 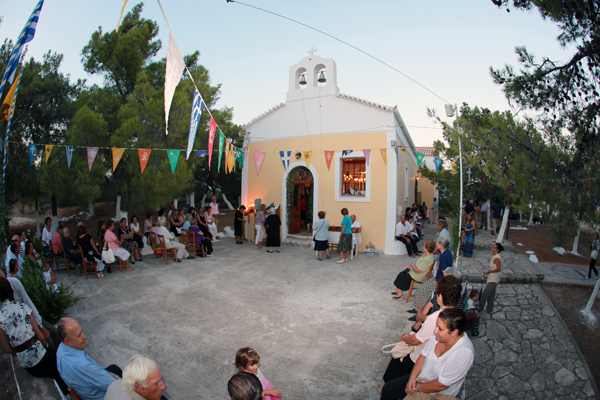 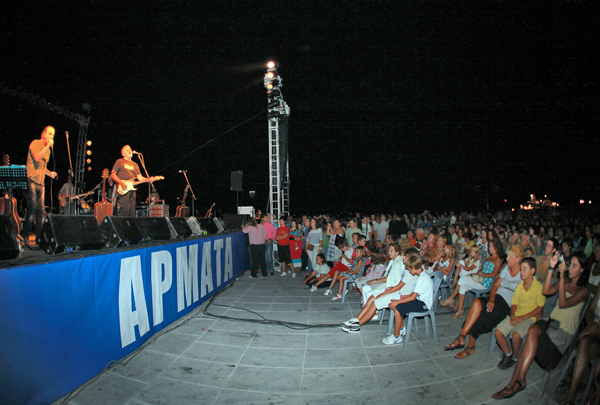 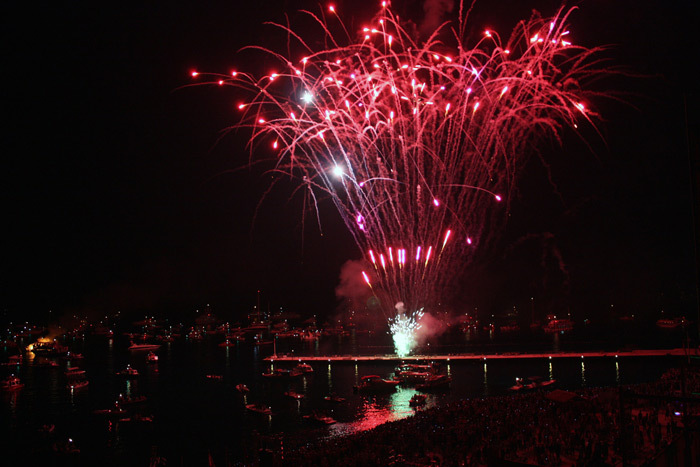 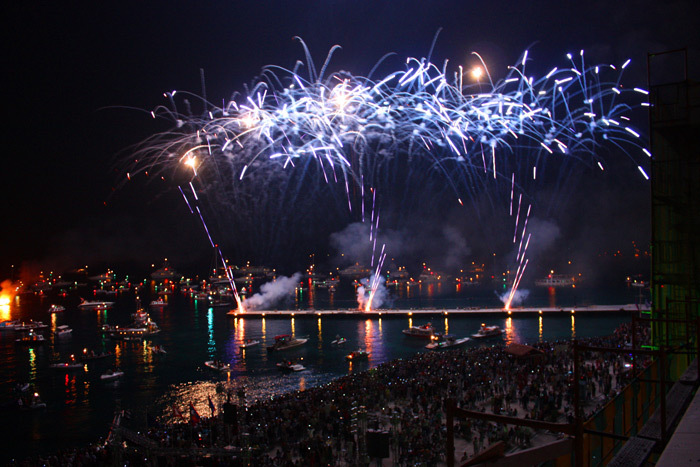 Annually the second weekend of September is dedicated to events combine the celebration of Panagia Armata (near Faros) and the anniversary of the battle of September 8, 1822. 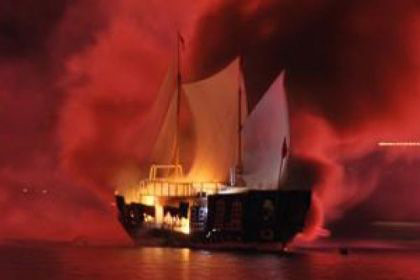 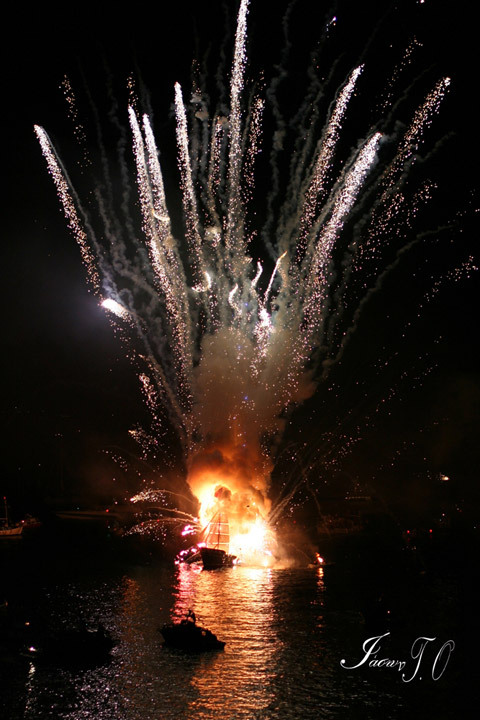 The events culminating in enactment of the burning of the Turkish flagship. 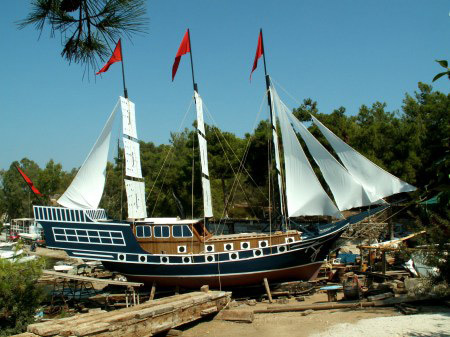 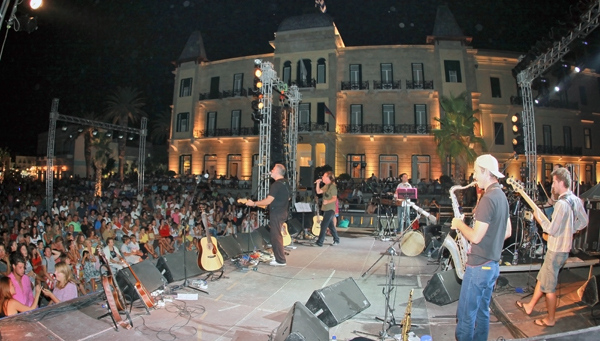 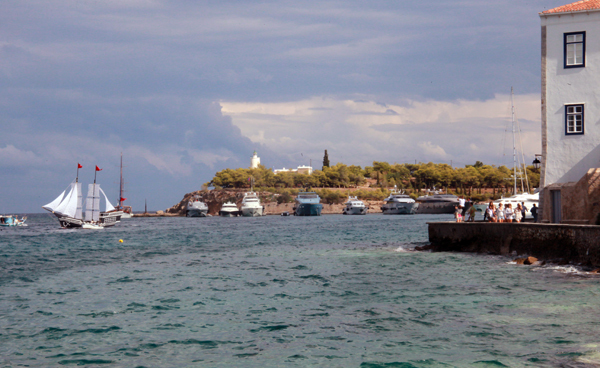 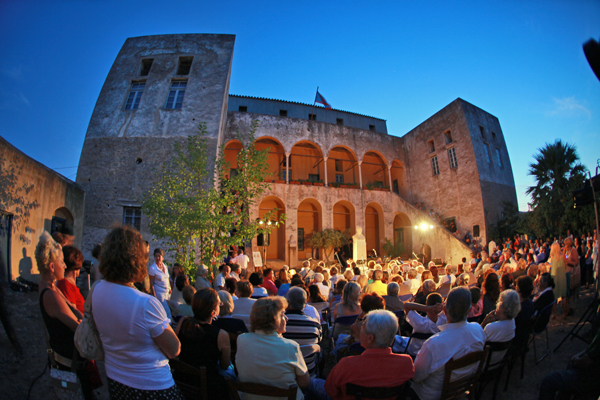 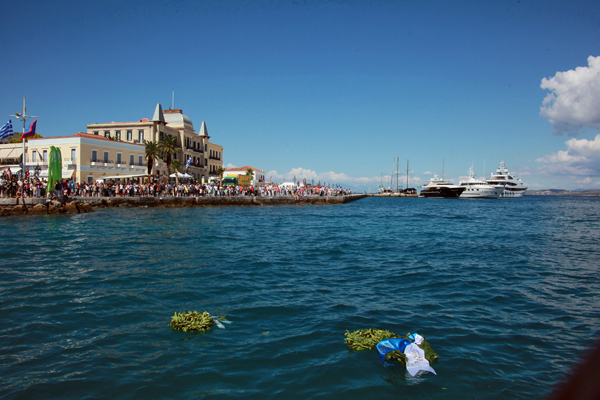 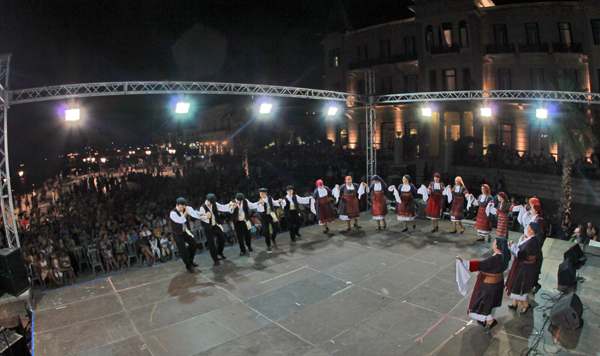 Spetses is one of nine European cities participating in the European Network of Historical Reconstructions.